3M – Prep with plastic — it’s better than 3M masking paper. * And when you use 3M™ Hand-Masker™ Masking Plastic with the 3M™ Hand-Masker™ M3000 Dispenser, you get high-quality results while saving time and money. Paper or plastic? The choice is clear. 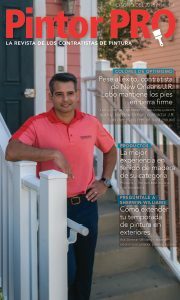 As a professional painting contractor, your reputation depends on high-quality results. But your bottom line depends on working efficiently and staying on budget. Get the results you need with 3M™ Hand-Masker™ Masking Plastic. Prep work is a tedious and time-consuming part of any painting project. 3M™ Hand-Masker™ Masking Plastic is more durable and moldable than 3M™ Hand-Masker™ General Purpose Masking Paper, so you can deliver high-quality results. When used with the 3M™ Hand-Masker™ M3000 Dispenser, it all adds up to a faster, easier prep process** for you and great results for your customer. 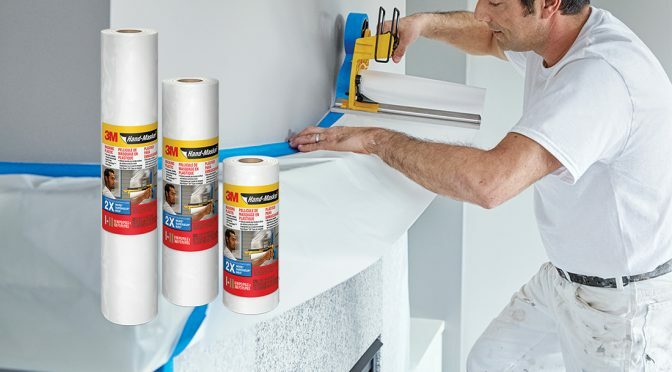 3M™ Hand-Masker™ Masking Plastic is available in three widths — 6 inches, 9 inches and 12 inches — on a 120 yard roll, all available at Sherwin-Williams stores nationwide. *Compared to 3M™ Hand-Masker™ General Purpose Masking Paper. **Compared to the paper/poly method.